Check out their engagement ring. 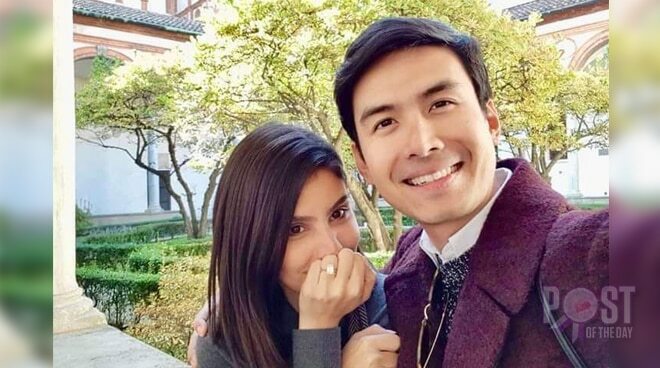 Much to everyone's surprise, singer Christian Bautista proposed marriage to his non-showbiz girlfriend Kat Ramnani. Christian happily shared that "she said yes" presumably on October 30 in Venice, Italy. As both kept the relationship low-profile, a 2014 feature from Inquirer revealed that Kat, who works for a telecommunications company, finished a Bachelor's degree in marketing and communications. According to reports, Christian and Kat met in 2015 and revealed the relationship in 2016. Here are more photos of the newly-engaged couple from Christian's Instagram page.